I was rehearsing a client who had a keynote speech to deliver at a conference. It had been a long day of meetings, and his speech was the next morning. We had just grabbed a bite to eat backstage and were about to do a final run-through at 10 PM. The problem was that his voice was just about gone from so much talking. What to do? How to help a tired voice? He needed the time on stage and running through the talk because he had not had a minute to think about it all day. The stakes were high for this to be a great presentation. I looked at our drinks and suddenly remembered a great way to get his voice feeling much better so that he could still do the run-through and have a better chance of being ok in the morning. All I needed was a straw. This is an exercise that I saw on YouTube. It was created by Ingo Titze, a prominent vocal scientist, and Executive Director of the National Center for Voice and Speech at the University of Utah in Salt Lake City. He’s the one you see on the video. Hydrate your voice., when you are tired, drinking water may revive you in general. Drink water. Drink warm liquids. They will soothe your throat and promote blood flow to the larynx, while also hydrating you. Keep the weight out of your voice. To do this, you will need to work with the pitch of your voice. You may need to speak a little higher than you are used to speaking. 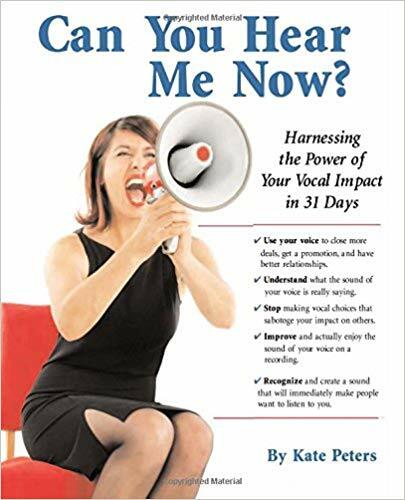 Raise the pitch of your voice a little until you feel that it “takes the pressure” off your voice; it will feel just a little easier to talk. And put some energy into your voice by using more air. Of course, the best thing you can do for your voice is to rest when it feels tired. Take a break. Speak to no one. Drink some tea. Contemplate your intention for a while.